Now that we've gotten all those Woody Allen titles out of the way, what about the rest of this month's arrivals? They're actually a pretty extensive—and diverse—group and include a number of welcome returnees, some of which snuck back onto Instant in the final days of September. 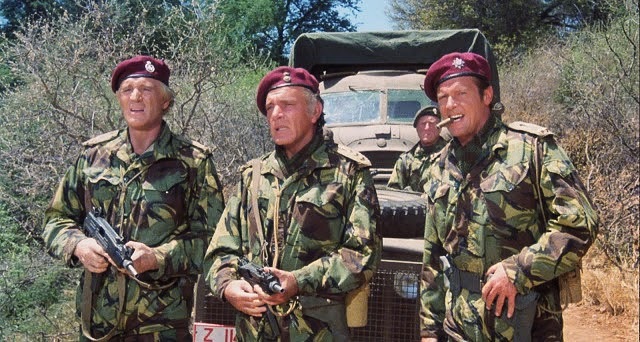 Among those are 1994's tear-jerking basketball doc, Hoop Dreams; arguably the best of the Merchant-Ivory productions, A Room with a View (1986); and the less well-remembered (except by avid '80s cable watchers), The Wild Geese (1978), a satisfyingly virile action yarn from director Andrew McLaglen, starring the Stallone, Statham, and Schwarzenegger of their day: Richard Burton, Richard Harris, and Roger Moore. Sorry, um, where was I? Oh yeah, returning titles. There are quite a few others, some equally filled with manly, CGI-less men—such as 1951's wartime actioner, The Desert Fox, and 1953's classic western, Shane (you came back!). You won't see James Mason or Alan Ladd messin' around with no computer-generated guns or planes or...or cows, okay? Same goes for Bruce Campbell in Sam Raimi's Evil Dead II (1987), with its elaborately gooey and gory ghouls splattering across the set, oozing gallons of fake blood straight into the floorboards. Dirty Dancing (1987) is also back. And I can guarantee that warn't no computer-generated Jennifer Grey being hoisted into the air by Patrick Swayze. Computers wish they could create a synthetic being as anatomically perfect as Swayze in his prime. You know who else wasn't computer-generated? James Caan, that's who. He stars in the rarely seen James Toback-written, Karel Reisz-directed The Gambler (1974), which, unlike the Dostoyevsky story of the same name, is actually another chapter in Toback's long history of obsessive characters getting in over their heads with guys who want to break their fingers. This was Caan just as his post-Godfather star was rising, doing what amounted to a little New York indie. Playing opposite him was former fashion model Lauren Hutton (who also isn't CG), mostly holding her own while looking gosh-darn adorable in one of her earlier acting gigs. They make an unusual pair, these two, but for low-profile oddities like The Gambler, that's part of the fun. And while we're on stars of the 1970s, we might as well mention Warren Beatty, whom it's rumored owned a time machine that actually did allow him to be computer-generated, which is how he always seemed to be with so many different women at once. Although he's not really with anybody in 1974's The Parallax View, one of those bleak Watergate-era thrillers that bring such perverse pleasure to viewers of a certain vintage (review here). The film's opening scene takes place atop Seattle's Space Needle—which is really all the segue necessary to note another returning title, the late Nora Ephron's much beloved Sleepless in Seattle (1993). And since I know you're wondering: No, the movie's Space Needle was not computer-generated. Although some believe that in certain scenes Meg Ryan was played by an animatronic puppet. Whether by coincidence or design, Netflix also chose this month to stream 1957's An Affair to Remember, the Cary Grant-Deborah Kerr melodrama that inspired Sleepless in Seattle and which appears in clips throughout. (Double feature, anyone?) This is good not only for fans of romantic weepies, but for anyone lamenting the lack of classic films on Netflix. Among those joining Affair are the 1954 Frank Sinatra suspenser, Suddenly (also a returnee), and Stanley Kubrick's always excellent anti-war drama, Paths of Glory (1957), starring Kirk Douglas and Adolph Menjou in a symbolic chess match pitting obstinate military authority against the lives of soldiers being tried for cowardice in WWI. This is indispensable Kubrick—lean and mean and with fire in his belly. Along with Shane, a couple more westerns have saddled up for streaming. 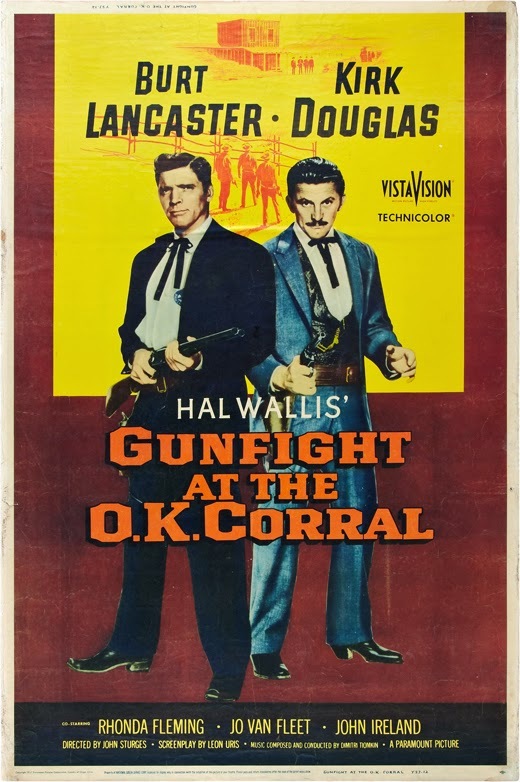 First up is John Sturges' Gunfight at the O.K. Corral, released the same year as Paths of Glory and also starring Kirk Douglas, who plays gunfighter Doc Holliday opposite Burt Lancaster's Wyatt Earp. Watch closely and you'll spot a young Dennis Hopper and—for you Trekkies out there—DeForest Kelley, who as Star Trek's Leonard 'Bones' McCoy would return to the O.K. Corral in the classic episode, "Spectre of the Gun." The other new western may not be a classic in the temporal sense, but 1993's Tombstone is over 20 years old already (how?!) and is a gritty, well-regarded retelling of the same tale, this time with Val Kilmer and Kurt Russell in the Holliday/Earp roles, heading an outstanding cast. Want more classics? How about Vincent Price and David Hedison in the original The Fly (1958)? (Supply your own "Help meee" jokes.) Or Robert Redford and Natalie Wood in director Sydney Pollack's period melodrama, This Property Is Condemned (1966)? Or if you're looking for something lighter, there's Mel Brooks' original The Producers (1968), which will allow you to thrill once again to Ken Mars performing "Springtime for Hitler" and Zero Mostel assaulting a perpetually nervous Gene Wilder, who's wet and in pain and still very, very hysterical. above the lower-budget exploitation fare of the day, featuring cinema-tography by ace D.P. John Alonzo (Vanishing Point, Harold and Maude) and a score by the peerless Lalo Schifrin. You've also got a couple of options for freaking yourself out, first with David Cronenberg's feature debut, Shivers (1975), which promises no end of gross-out fun, and then with 1979's Best Picture winner, Kramer vs. Kramer, which despite its otherwise sober subject matter may cause certain viewers to bulge out their eyes and exclaim, "Holy cow! Dustin Hoffman and Meryl Streep were practically kids!" I didn't plan to cover family films again so soon after all that Flubber and Disney film confusion last month, but I felt like there were enough promising new titles that it would be a shame not to point them out. First up is that soon-to-be-a-remake, 1982's Annie—which, I'll be honest, looked pretty crappy back when it came out (even though it was directed by John Huston, of all people). But apparently it was ahead of its time or something, because now it's looked at fondly and rates just shy of 4 stars on Netflix. So maybe it's worth sharing with the little ones? Tell you what, why don't you tell me—since it will be a long, drunken weekend in hell before I sit down for two hours to watch that singing moppet, her shaggy ol' dog, and Albert Finney in a bald cap. If the last thing you want is tales for tots, a grown-up antidote might be the ever-so-grim Nick Nolte drama, Affliction (1997), directed by the always intense Paul Schrader (American Gigolo, Light Sleeper)—who here guided James Coburn to an Oscar win and Nolte to a nomination. 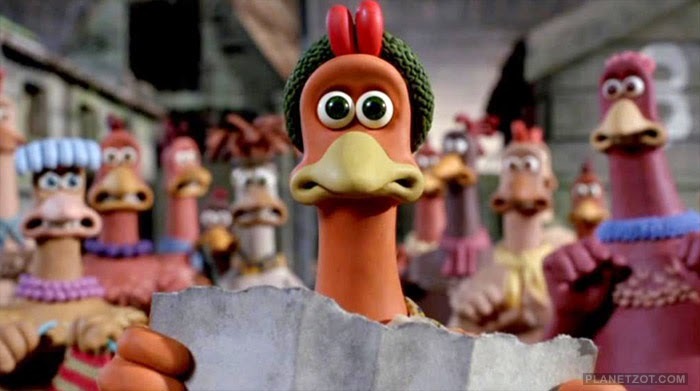 The cast also includes Sissy Spacek, Willem Dafoe, and Mary Beth Hurt, so there's no fear of encountering wacky talking chickens. 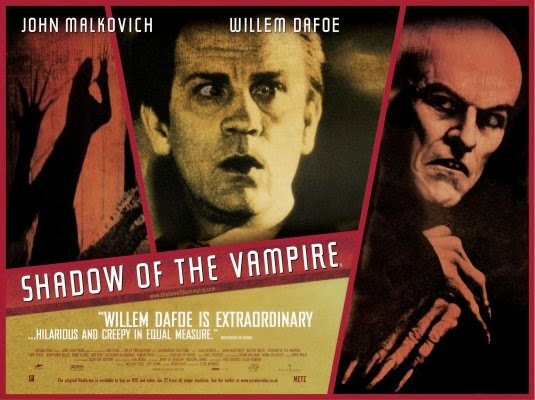 You'll also find Dafoe starring with fellow ladykiller John Malkovich in 2000's Shadow of the Vampire, a fictionalized account of the making of 1922's Nosferatu (conveniently also streaming), which clearly benefited from the existence of Tim Burton's earlier Ed Wood. So if you're still hurting from last week's loss of Bram Stoker's Dracula, here's another vampire flick to sink your molars into. Joan Allen, Jeff Bridges, and Gary Oldman take the reigns in Rod Lurie's The Contender (2000), an inside look at how Washington, D.C., eats its own; while Sean Connery appears in one of his final films, Gus Van Sant's Finding Forrester (2000), a companion piece of sorts to the director's Good Will Hunting. And if all that's not adult enough for you, Christian Bale starring in Werner Herzog's Vietnam War drama, Rescue Dawn (2006), is guaranteed to make you clench in all your grown-up places. One Netflix commenter claims he almost threw up while watching it—so you know it's gotta be good. Also worth mentioning: Baz Luhrman's intensely rewatchable Romeo + Juliet (1996), which definitively put the director and his young stars, Leonardo DiCaprio and Claire Danes, on the map. This is cinematic Shakespeare the way it ought to be done—the way Orson Welles would have loved it—vital, edgy, alive. Meanwhile, over in TV land, everyone's been talking about the debut of Gilmore Girls. But I also hear good things about the new British show, Peaky Blinders, season 1 of which is supposedly addictive to the point of unreason. The second season already aired in the U.K. and is scheduled to reach Netflix in November, so those who like to binge won't have to wait long for their next fix (yes, Sarah, I'm looking at you). After so much dark and gritty fare, it may be time to indulge your inner kid and cleanse your palate with some comedy. There's 1999's irrepressible Star Trek parody, Galaxy Quest, with Tim Allen, Sigourney Weaver and a comic ensemble that repeatedly knocks it out of the park (Rickman! Rockwell! Shalhoub!). 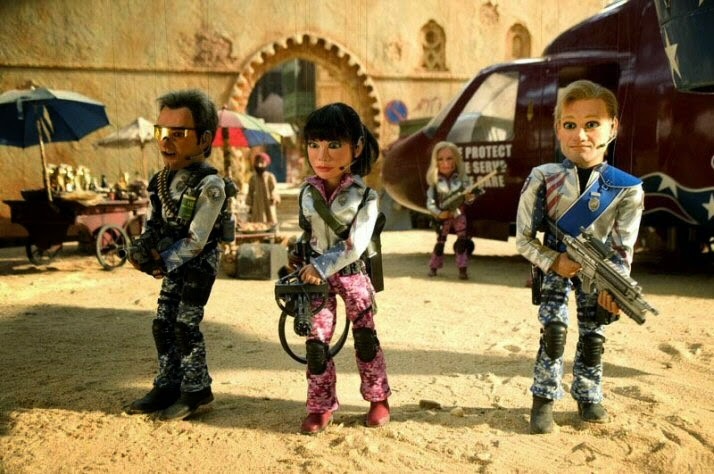 Or if you prefer comedy to make you feel smart and dirty and kind of guilty all at once, take a gander at Team America: World Police (2004)—a raunchy puppet satire from Trey Parker, the director who brought you, yes, South Park, but also Cannibal! The Musical. Even grown-up kids may find themselves throwing up during this one. Excellent (and funny) recap - thanks. My queue list is longer now. I took up your challenge to watch Annie. I can't in good conscience recommend anyone else do the same. Since preference is so subjective, I did a bit of research, and found that it was nominated for both a Razzie and a Stinkers Bad Movie Award for Worst Picture of the year. I'm a die-hard musical lover, and it was tough for me to get through it. There were a few good things, but not enough to outweigh the problems. As far as being appropriate for kids, I would advise some caution. Netflix includes it in the "movies for ages 5-7" category, but it's rated PG for adult content and mild violence. Netflix offers many good choices for wholesome, truly entertaining family movies. Kids are usually happy to watch favorites again, so fire up Chitty Chitty Bang Bang one more time.